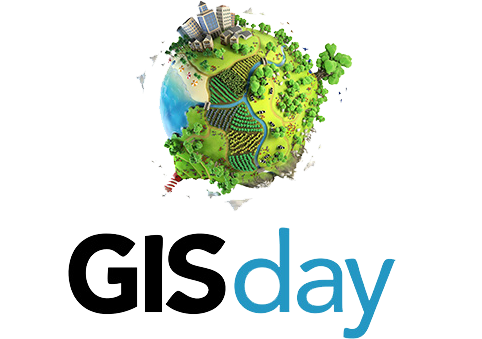 GIS Day provides an international forum for users of geographic information systems (GIS) technology to demonstrate real-world applications that are making a difference in our society. The first formal GIS Day took place in 1999. Esri president and co-founder Jack Dangermond credits Ralph Nader with being the person who inspired the creation of GIS Day. He considered GIS Day a good initiative for people to learn about geography and the uses of GIS. He wanted GIS Day to be a grassroots effort and open to everyone to participate. GIS day events take place around the globe. 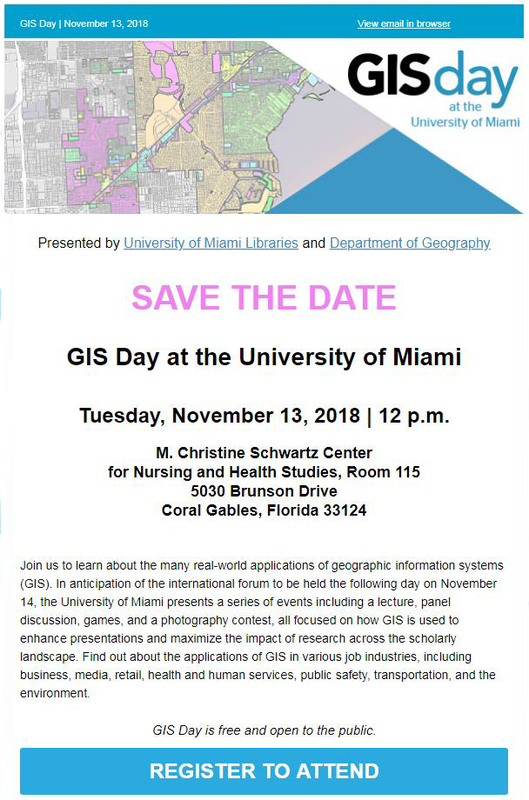 GIS day this year is on 11/14/2018 but UM is celebrating on 11/13. For all GIS day events, visit the national site: gisday.com. Follow @gisday on twitter, and share your photos via gisday@esri.com or on their story map.